LOCATION.--Lat 42°18'30", long 74°23'24" referenced to North American Datum of 1983, Greene County, NY, Hydrologic Unit 02020005, on right bank 200 ft southwest of State Highway 23 at Red Falls, 1.9 mi upstream from mouth, and 2.2 mi southeast of Prattsville. GAGE.--Water-stage recorder and crest-stage gage. Datum of gage is 1,268.54 ft above NAVD of 1988. REMARKS.--Flow regulated to some extent at high flows by three flood-retardation reservoirs, combined drainage area of 19.2 mi². 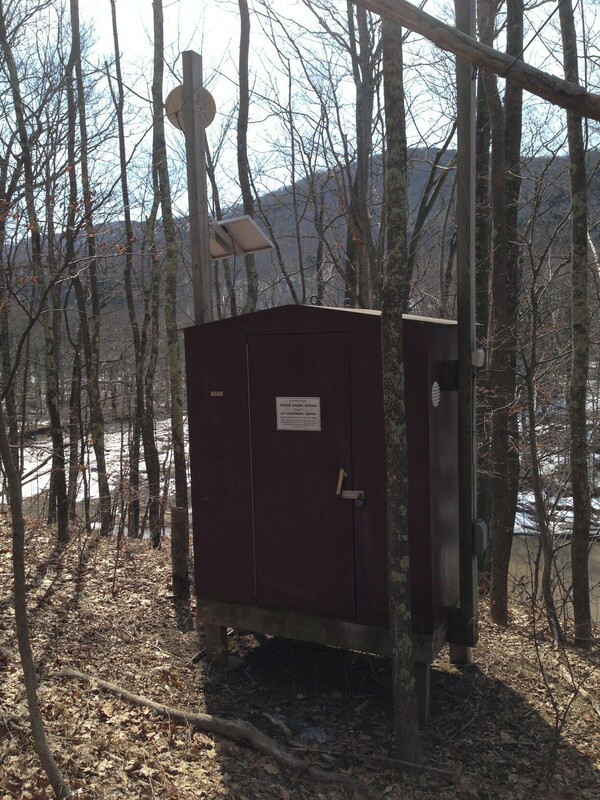 Seasonal diversion for snowmaking by Ski Windam ski area at Windham. EXTREMES FOR PERIOD OF RECORD.--Maximum discharge, 44,200 ft³/s, Aug. 28, 2011, gage height, about 20.0 ft, outside gage height was about 21.4 ft, from floodmarks, from rating curve extended above 2,900 ft³/s on basis of step-backwater analyses at gage heights about 11.4 ft and about 20.0 ft; minimum discharge, 1.7 ft³/s, Sept. 8, 2007, Sept. 26, 2010; minimum gage height, 0.97 ft, Aug. 9, 2012. EXTREMES OUTSIDE PERIOD OF RECORD.--Flood of Jan. 19, 1996, reached a stage of about 11.4 ft, from floodmark, discharge, 16,400 ft³/s, on basis of step-backwater analysis of peak flow.